Like last year, I took too many pictures. I couldn’t stop! To do my best to quickly-as-possibly share what I have and what I liked, I’m loading up the MyRideisMe picture gallery. 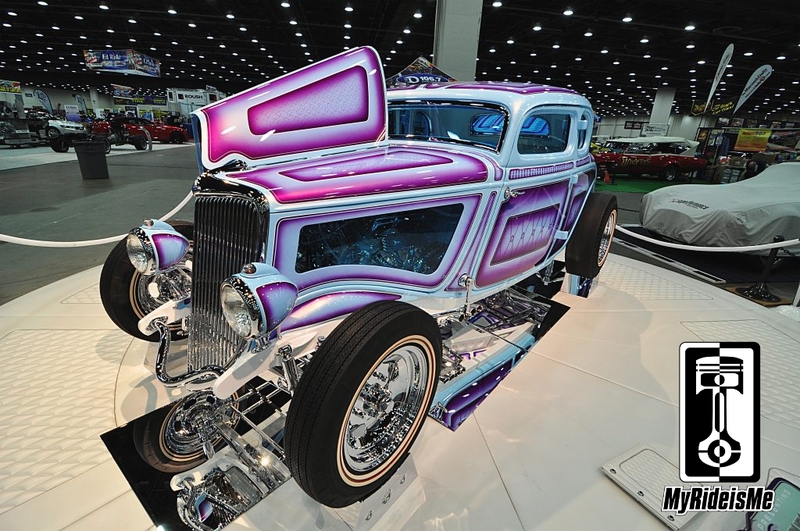 There’s 200 events covered since 2007, so lots to see, something for everyone… including – The Best of the 2013 Detroit Autorama. The rest of the BEST pictures and info are here. Last year, I did a “Shoulda-been Great 8” story from the 2012 Detroit Autorama. I’m putting that story together, and when I do, this will top the list. 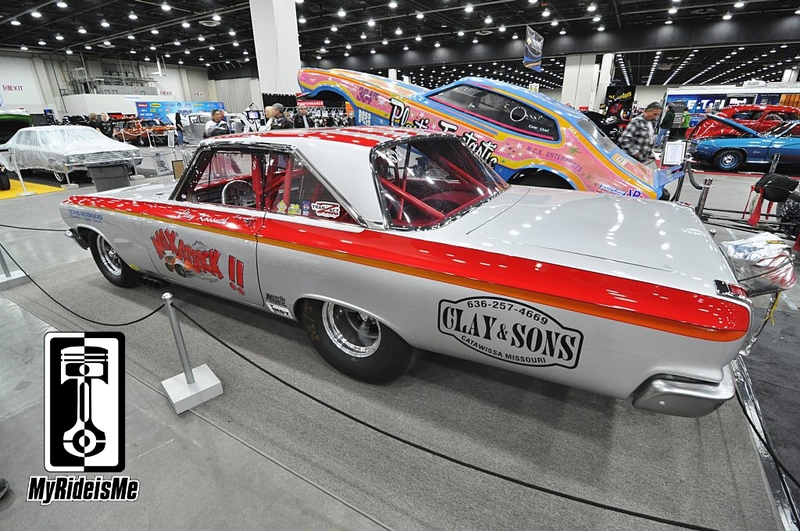 Not only is the car way-over-the-top RIGHT ON traditional cool… it’s also displayed beautifully and has an amazing Darryl Hollenbeck paint job. It’s called, “Iron Orchid”. Look for more pictures in a feature story soon. This Brothers Custom Automotive hot rod was parked down in the basement. Just like last year, Brothers brought out the heavy guns with owner Bill’s own roadster. This roadster blew me away. My buddy Chuck Vranas from Street Rodder Magazine thought so too. He handed Bill his Street Rodder Top 100 award at the show. Clay Kassuth, owner and pilot of this Max Wedge powered, A/FX REAL race car was great to talk to. He let me know the back wheels were moved forward 15″ and the the front 10″ or so. As it sits, 56% of the car’s weight sits on the back wheels. That’s good enough for ear-to-ear grinning 8.80 passes with the wheels up through 3rd gear! With the “Plastic Fantastic” Ford Maverick funny car behind it, this was one of my favorite spots of the show! What can I say? I dig wagons and this one’s got me hooked. 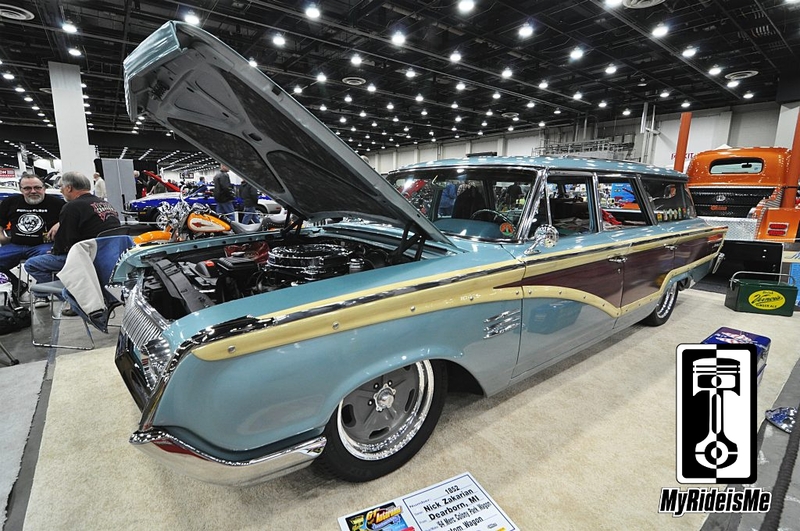 Nick Zakarian, who also owns a nasty 1964 Mercury Marauder featured in this “Best Wheels and Tires” story, added air ride and handled the fine details on this 390 Super Marauder equipped wagon. Nick’s also got a great collection of vintage racing jackets. 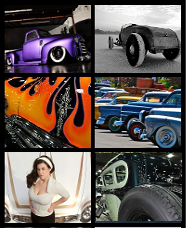 So these are only FOUR of the 28 “Best of” pictures loaded in the Best of 2013 Detroit Autorama gallery. Take a look and let us know if we shot your car! 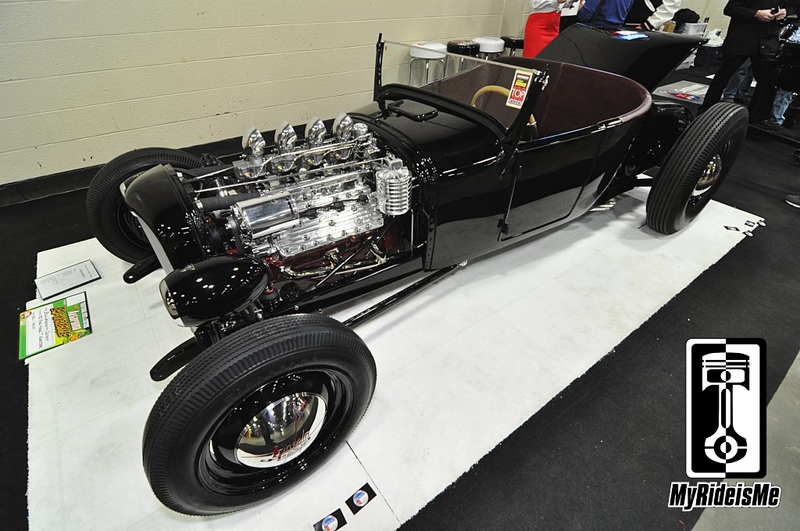 Need more 2013 Detroit Autorama?? Can’t wait to see more photos of the 34 coupe.